Sun., Aug. 5, 2018, 7:51 a.m.
A GRIP ON SPORTS • It’s a bit excruciating, isn’t it? Watching the M’s lose night after night. Watching them sink lower and lower in the wild-card standings? Watching a season of hope disintegrate into despair? We have a solution. Quit watching. Read on. • If you are like my wife and love movies with happy endings – she has mastered the art of rewriting any ending she doesn’t like with a happy one even before we leave the theater – than the past couple weeks of this M’s season haven’t been for you. Heck, the collapse has been so unbelievably ugly, it probably wouldn’t even sell to Quinton Tarantino. M. Night Shamalyian, maybe, but no one else. It’s too sad. And painful. That was the thrust of my Out of Right Field column today and I stand by it. The past few weeks haven’t been a wake-up call, they’ve been a bucket of cold water on a Monday morning after a weekend-long bender. Or a kick in the nether regions if you prefer. Either way, you must be in pain. A month of good baseball isn’t enough to erase 16 seasons of failure. Two months even. But three? More than half the schedule? By the Fourth of July most Mariner fans had finally bought in. They had thrown caution to the wind and embraced this scrappy group of never-say-diers. The postseason was not only possible, it was going to happen. A month later heads are in hands, games begin with everyone expecting the worst and no one cares if Robinson Cano ever comes back. Ten days from now, when his bat is back in the three hole, it may just be too late. 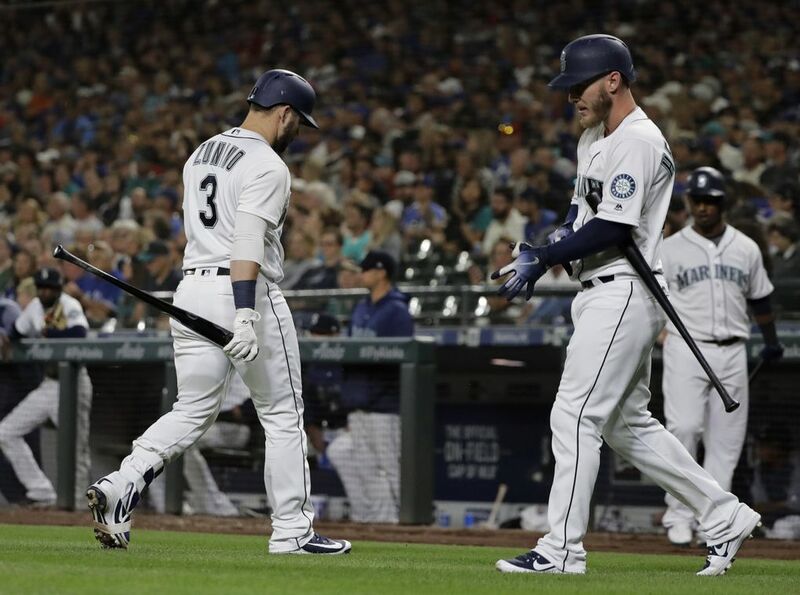 The offense could certainly use a jolt, but the way the M’s are hitting, I don’t think Babe Ruth, a young Babe Ruth mind you, would make a difference. Not when guys like Kyle Seager, hitting a smooth .228 and sporting a .278 on-base percentage, won’t make adjustments and take what pitchers are giving them. Seager is my personal bête noire right now because no matter how many defensive players are on the right side of the infield – I think Toronto had 11 last night – or what the situation calls for, he still swings from his rear end every at bat, trying to jack the ball out of the ball park. He did it again last night in the seventh inning. It was the last straw for me. The M’s trailed 3-0, Mitch Haniger was on second base and there were two outs. The Blue Jays had a shift on, with three infielders on the right side. 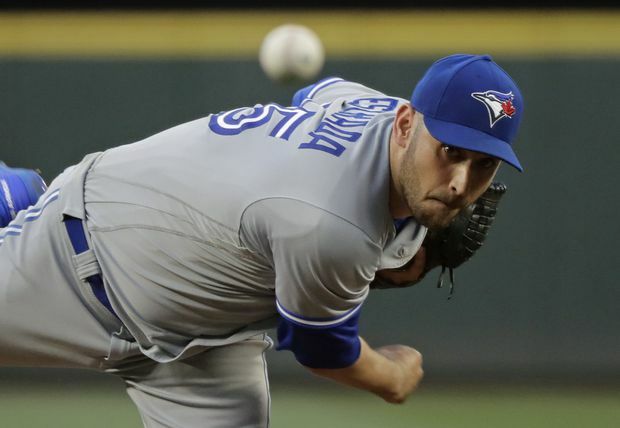 Marco Estrada kept throwing soft stuff on the outer half. All Seager needed to do was drive one the other way and the M’s would have been on the board. All he did was take massive cuts, trying to lift the ball into the right-field seats, finally getting himself out with a pop up to foul ground behind first base. It ticked me off. Take what they give you, stay inside the ball and help your team get closer. So I turned off the game. Did something else. Refused to watch the bullpen give up a couple more runs. Out of sight, out of … who am I kidding? I stewed the rest of the night until the final score popped up on my phone. 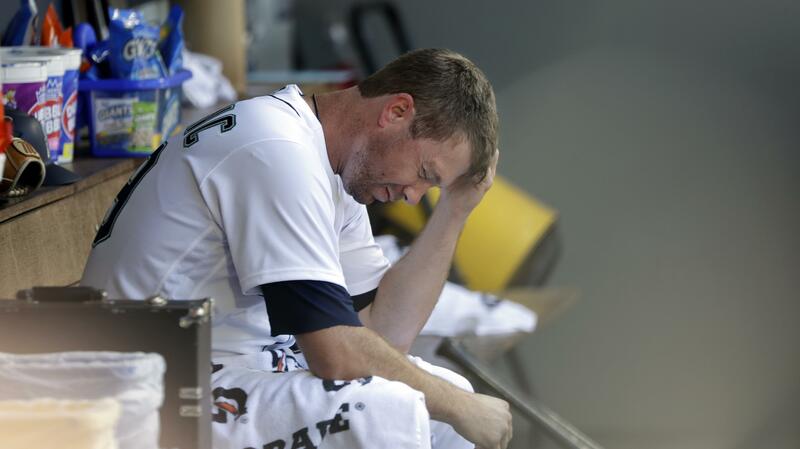 Another loss, the M’s fifth consecutive one. Another game lost in the standings. Another night of failure. It’s possible, I suppose, they could turn it around. That the bats can come alive again. That the upcoming road trip to Arlington, Houston and Oakland can save their season. If that doesn’t work, then maybe we can all do what Kim has done. I’m sure the season ended July 3 in her mind. And the Mariners went on to win the World Series. WSU: The Cougars are in Lewiston, where it will probably be 110 by Thursday. Drink plenty of fluids Theo. No, not that type of fluid. Water, Gatorade, Powerade, that sort of stuff. And keep writing. Mr. Lawson not only had his observations from the second day of camp, he also introduced us to the deep receiving corps. A pretty good day of coverage. … Elsewhere in the Pac-12, Eugene’s Austin Meek has a column today on Urban Meyer and the responsibilities of a head coach. … Washington’s Chris Petersen is an example of a head coach who seems to understand his role in every way. His team also reflects his personality. … Oregon State has gotten back from injury some key players. … Other than quarterback Steven Montez, Colorado will rely on some unproven talent. … Throw the ball often or run it more? That’s part of the dilemma for Utah. … A couple of USC players are pushing each other. … Chip Kelly doesn’t know when he will name UCLA’s starting quarterback. … Practice at Arizona State is a chance for newcomers to shine. … Arizona’s Khalil Tate impresses just about everyone. Gonzaga: The U18 European Championships have been a Zag show in some ways, though only one, incoming freshman Filip Petrusev of Serbia, will play in the final. Joel Ayayi, who redshirted last season at GU, and France lost to the Serbs yesterday. Jim Meehan has more in this story. Idaho: If you have never been to the Corner Club in Moscow, why not? It’s a pilgrimage every college football (or basketball) fan should make. John Blanchette made it again yesterday for a special occasion. A celebration of history, embodied in the bar itself and in Jerry Kramer’s induction into the Pro Football Hall of Fame. Tyler Tjomsland accompanied John, and presents a picture story of the day. … Around the Big Sky, Weber State is looking forward to its opener at Utah. EWU: A champion jumper will enter the Eagles Hall of Fame this fall. Indians: Spokane’s first hit was its biggest last night and it helped the Indians to a 7-2 win in Eugene. … Elsewhere in the Northwest League, Everett picked up another victory over Boise. Mariners: It took more than six innings for the M’s to get a hit in their 5-1 loss to Toronto. … Erasmo Ramirez is closer to returning. Will he replace Felix Hernandez in the rotation? … As we linked above, we have an Out of Right Field column in this morning’s newspaper. Seahawks: The Hawks played their annual mock game yesterday and Russell Wilson was even more Russell Wilson-ee, if you get my drift. He’s going to be throwing the ball all over the yard this season, even to the running backs. And the Hawks have a lot of those. Sounders: Seattle trailed 1-0 as its match in Minnesota went to extra time. Two goals later the Sounders had an improbable 2-1 win and moved into a playoff spot. … It’s been a really long time since Portland has lost a match. Published: Aug. 5, 2018, 7:51 a.m.